Jill Zeidler Ceramic Art is ceramic design studio located in Big Sky, Montana. I create contemporary ceramic pieces with clean lines and minimalistic imagery, hand built from durable stoneware clay. 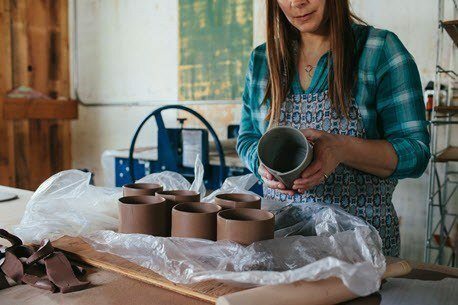 Specializing in a variety of table top designs from handmade dinnerware to large serving vessels, each piece is created with a sculptural integrity that allows the viewer to expand on the limits of its intention. I apply imagery to my work using a process known as a Xerography transfer. The imagery I choose is inspired by nature and is a reflection of my personal vision.